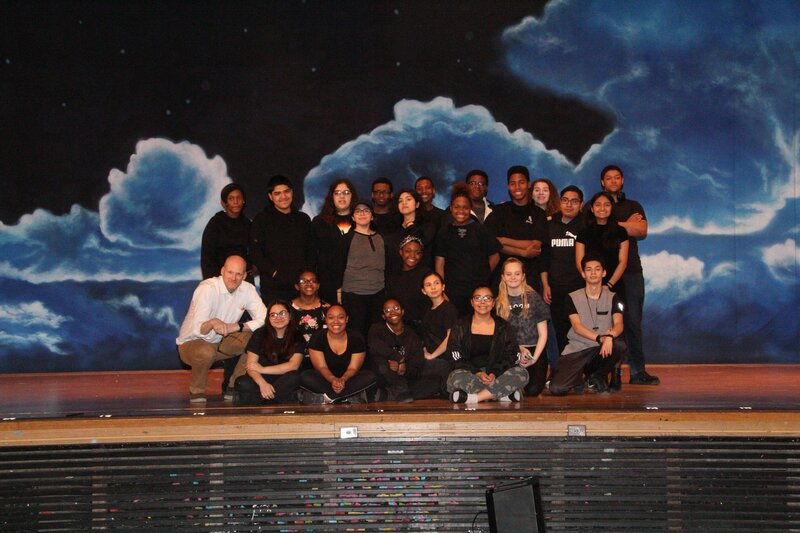 Congrats to Nadima Zegar, Mike Bielecki, Stephen Lopez, Steven Paredes and the Drama/Tech Clubs on an amazing weekend. 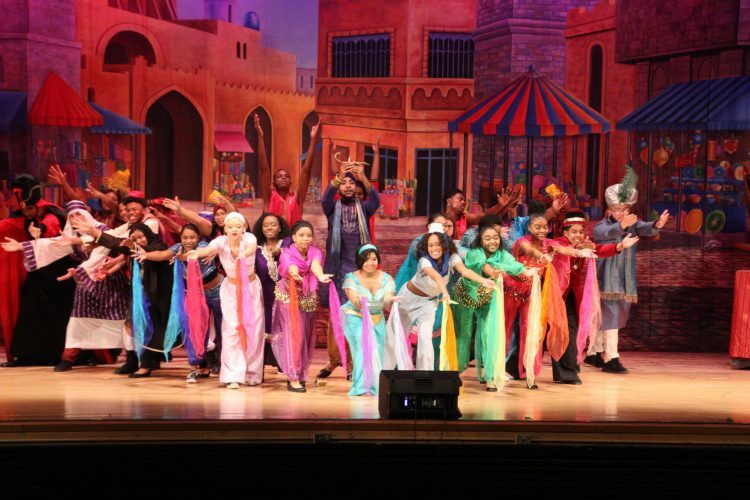 Their performance of Aladdin was outstanding. 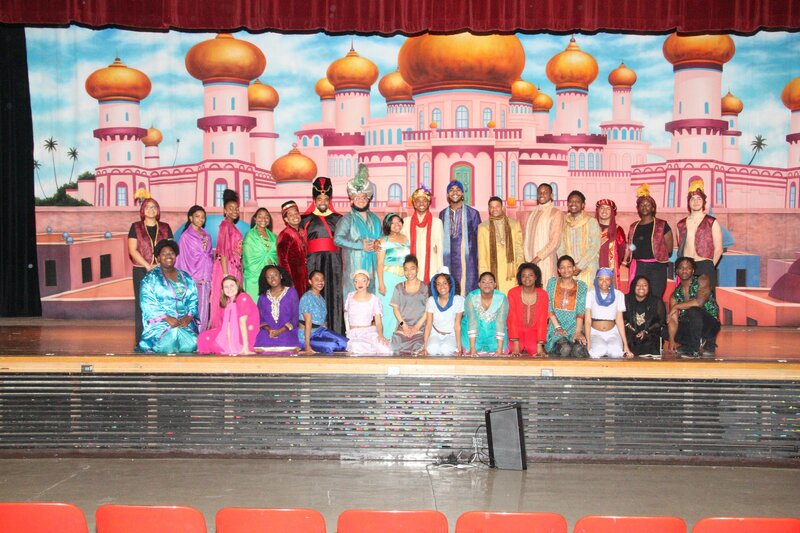 From the sets, to the costumes, to the singing and choreography – it was truly genie-us!!! Thank you to all the staff who attended this weekend. I would love to give a personal shout out to each one of you, but there was so many of you there – I know I would forget someone. Just know, we really appreciate your support. If you have any Drama or Tech kids in class, please congratulate them on job well done. This was also Mr. Bielecki’s first time as an assistant director and Mr. Paredes just took over the Tech club a couple weeks ago. Both of them did an amazing job. Several students were also in attendance. 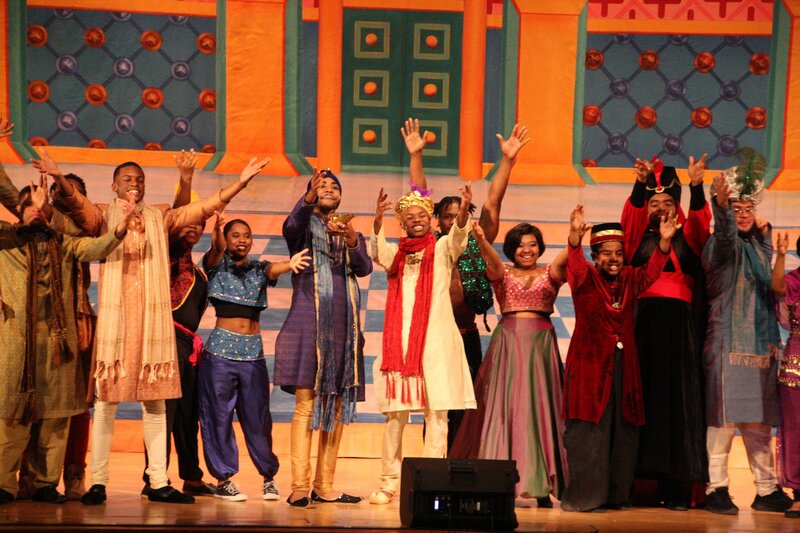 Thank you for encouraging the Arts to our students by offering extra credit. They either got a signed playbill or took a selfie with me. Here are some pictures if you missed the show.